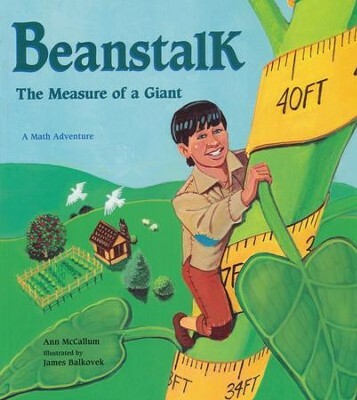 In this new spin on the classic tale, Jack climbs the beanstalk and finds a giant friend. How can Jack and the giant do things together when they are such different sizes? Humorous illustrations clearly show their math problems and how they solve them. Ann McCallum is a math teacher and the author of RABBITS, RABBITS EVERYWHERE and EAT YOUR MATH HOMEWORK. She lives in Kensington, Maryland. I'm the author/artist and I want to review Beanstalk: The Measure of a Giant.